If you're in the CF world, you know what this is. It's a golden ticket. For those who it might benefit, it fills one's heart with excitement!! It's a prescription to Kalydeco! I should preface this. 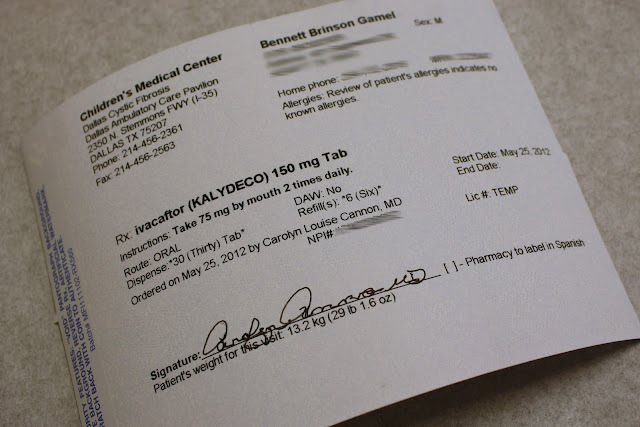 For those who don't know about Kalydeco (pronounced kuh-LYE-deh-koh), it is the "game-changer" drug recently approved by the FDA for those with a specific Cystic Fibrosis mutation. For those who it benefits, Kalydeco has shown to arrest the CF disease where ever it is at that moment. It is the first drug that treats the underlying genetic cause of Cystic Fibrosis and it's doing wonders for those who have the G551D mutation. 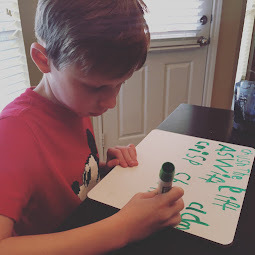 However, at my request at our last CF appointment, Bennett's CF doctor agreed to write him an "off-label" prescription for this medication. She did so based on the fact that I have anecdotal evidence of at least three people with CF who have a splice mutation, like Bennett has, who improved with this medication. The three people I know who have benefited from Kalydeco have seen, on average, a 10% increase in lung function and all report they feel significantly better while on the medication. We don't know why it worked for them, but it did. So, I suggested to the doctor, can we see if it might work for Bennett too? When asked, Bennett's doctor's response was "Sure, why not?!" This is because, of course, getting a prescription for Kalydeco is not ultimately the challenge. The challenge is getting it covered by insurance. Kalydeco costs $286,000/year or about $23,000/month. That's around $400 per pill (and the medication must be taken twice daily). At this point, it's one of the most expensive drugs on the market. 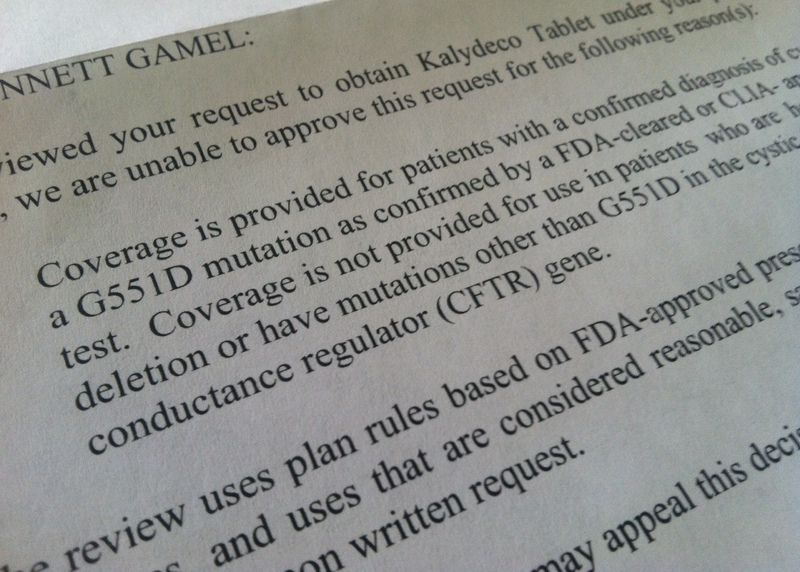 Clearly, insurance doesn't want to have to pay for this medication if they don't have to. 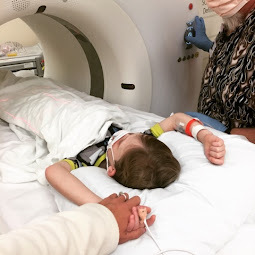 So, despite that both Dr. C, Brian and I all knew the chances of getting Kalydeco approved by insurance was slim to none, we felt it was worth a try. It certainly wouldn't hurt. 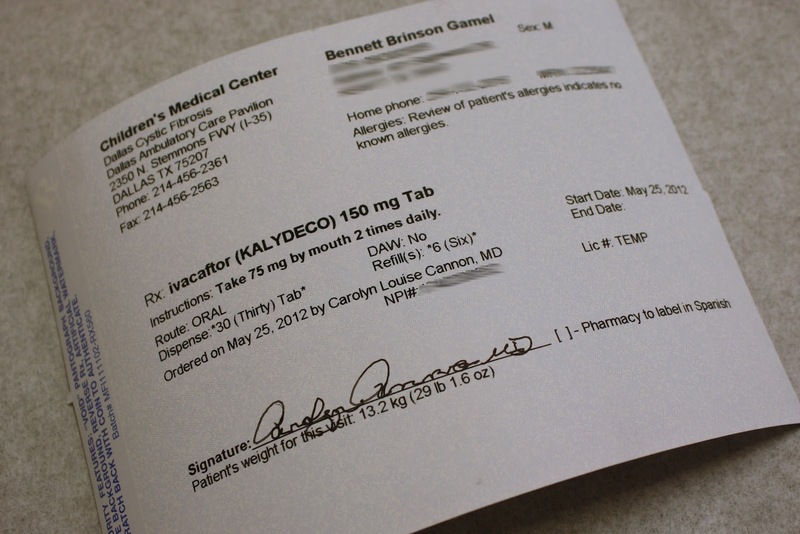 Three other people with Bennett's mutation were able to get Kalydeco approved from anywhere between one month, to six months to having never been denied. Maybe we would also have a chance to see if it works?? I sent off the prescription to our mail-in pharmacy through our insurance company and waited. "We are unable to approve this request for the following reason(s):...Coverage is not provided for use in patients who...have mutations other than G551D in the cystic fibrosis transmembrane conductance regulator (CFTR) gene." So, what do we do now? We think this medication might work for our son. It might extend his life and arrest the disease in its tracks but we can't get our hands on it. What do we do?? Nothing. We can't really do anything at this point. We face what so many in our Cystic Fibrosis community face: waiting until the FDA approves this medication for all those who might benefit. Until then, we are just $23,000 per month away from being able to order it at our local Walgreens pharmacy. And it's SO hard to deal with. To know a medication might be able to help Bennett and not be able to get it...because it costs more for one year of pills than we make in an entire a year. Without insurance approval, we have no choice but to sit back and wait. We are one of the fortunate ones in many ways, though. First, we have a chance it might work. For so many with Cystic Fibrosis, they don't even have that hope. 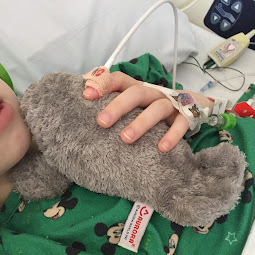 They are having to wait for the next medication to come out of clinical trials. Second, our son is little. He has time. For others, they are 14, 20, 32 years old with Cystic Fibrosis anxiously waiting for this medication to be approved by their insurance in time. At least, we have 5 or 10 more years that we could wait, if we have to. Hope deferred makes the heart sick (Psalms 13:12). And, in this situation, I can feel how sick my heart is just having to wait. It can feel so frustrating. 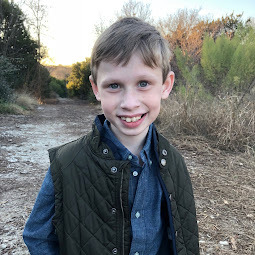 And yet, I am incredibly thankful and aware that just to receive a prescription for a medication that might help my son is much closer to a cure than most anyone with Cystic Fibrosis has ever gotten to before now. So many people have lived with the disease and not even had this type of hope. The fact that we are so close, we can almost taste it, gives credit to all of those who have donated to the Cystic Fibrosis Foundation up until this point. A cure is not far away. We are just going to have to wait a little while longer. So, maybe it's not be the sound of helicopter blades coming back. But I am confident, I hear something. Would you be willing to support raise for it? I feel like so many people would give to this. I know of families who have support raised adoptions completely and medical bills of babies who have spent their lives in the hospital, I don't see how this is that different. If you could prove to the insurance company that it worked for Bennett would they approve it? You are so very close. I just know that Bennett will be part of a generation of CFers who live longer than ever with the greatest quality of life possible. I know that it is only a matter of time until you do get the right drug. All things happen in the right time. We are always praying for Bennett, and for all of you! People with 621+1G>T have to share their medical files as evidence that the drug works. It's about the only way until Vertex does studies with 621+1G>T. The Sound of Helicopter Blades Coming Back?